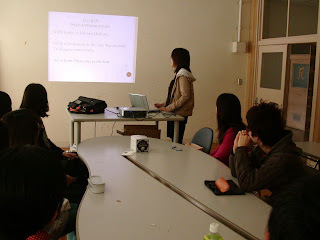 Hotaru Ikehira, a freshman at the Faculty of Law, gave a presentation on the food culture of Japan. The moderator was Marcus Khoo.. 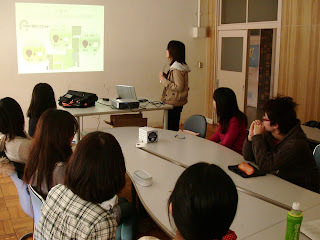 There were 13 people in the audience, including five international students.